Healthy Breakfast Ideas! | RAWR BOWS. Hey there! Lately, my diet hasn't been what I would call healthy so I started watching a lot of "Healthy Breakfast Ideas for school" videos on YouTube, because YouTube is my answer for everything. After watching millions of videos I came up with some healthy and yummy breakfast ideas. If you want to find out how to have a yummy breakfast, keep reading!! Greek Yoghurt: Obviously, we a are not eating plain greek yoghurt for breakfast. 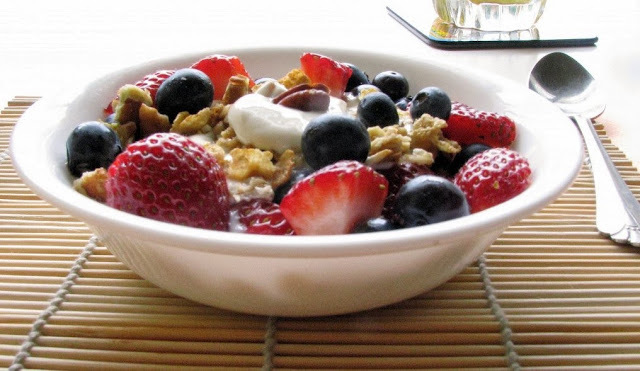 I love adding some fruit like sliced strawberries, blueberries, sliced bananas, etc and some granola or corn flakes to keep me full. I also tend to add a few almonds and top it up with some honey. It is very easy to make and it tastes delicious! 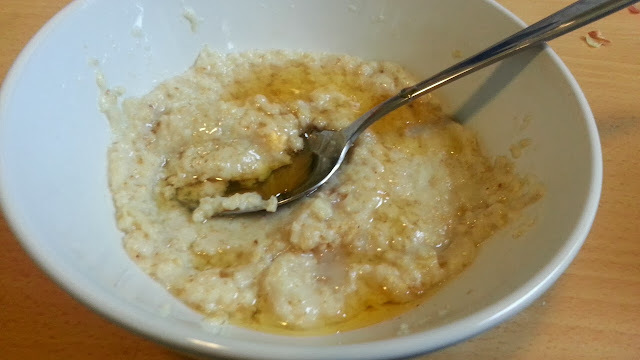 Porridge/Oatmeal: This is probably the easiest out of them all. I've been loving Quaker's Oat So Simple oats, basically you take a sachet, you pour it in a bowl, add some milk and put it in the microwave for 2 minutes. That's it, it literally takes 2 minutes and you have a nice porridge to eat. I like having porridge for breakfast as it keeps me full until lunch time. Here I added some honey that ended up looking weird but it tasted so good! I eat Quaker's Oat So Simple Apple and Blueberries oats, best oats ever! They even have some apple and a few blueberries in the oats! So good! I know it looks rather disgusting but trust me, it is amazing! or almonds. Yes, it sounds a bit weird but it tastes amazing! 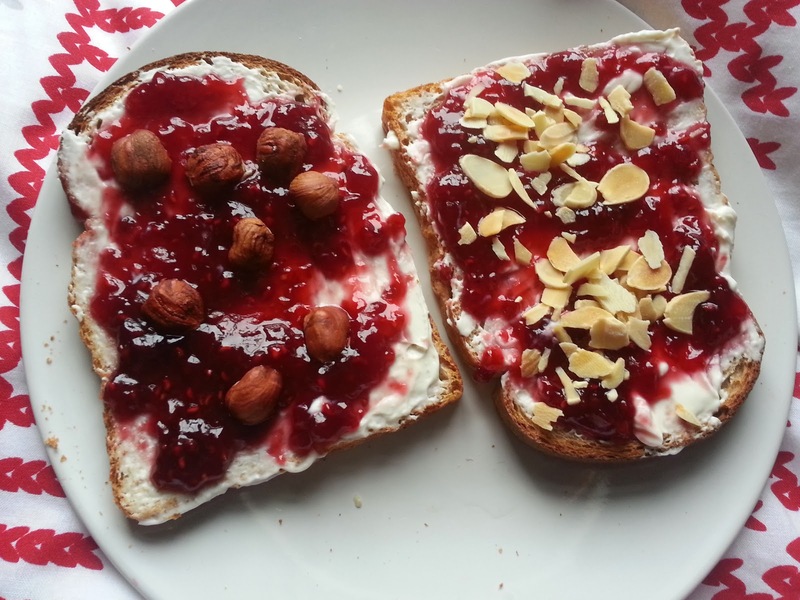 Just spread some cheese as it was butter, add as much jam as you like and then sprinkle some sliced almonds or walnuts, whatever you prefer and you're done! breakfast is my favorite meal of the day so i enjoyed this short little post! i love greek yogurt with honey and fresh fruits in the mornings :) what's your favorite thing to eat for breakfast?